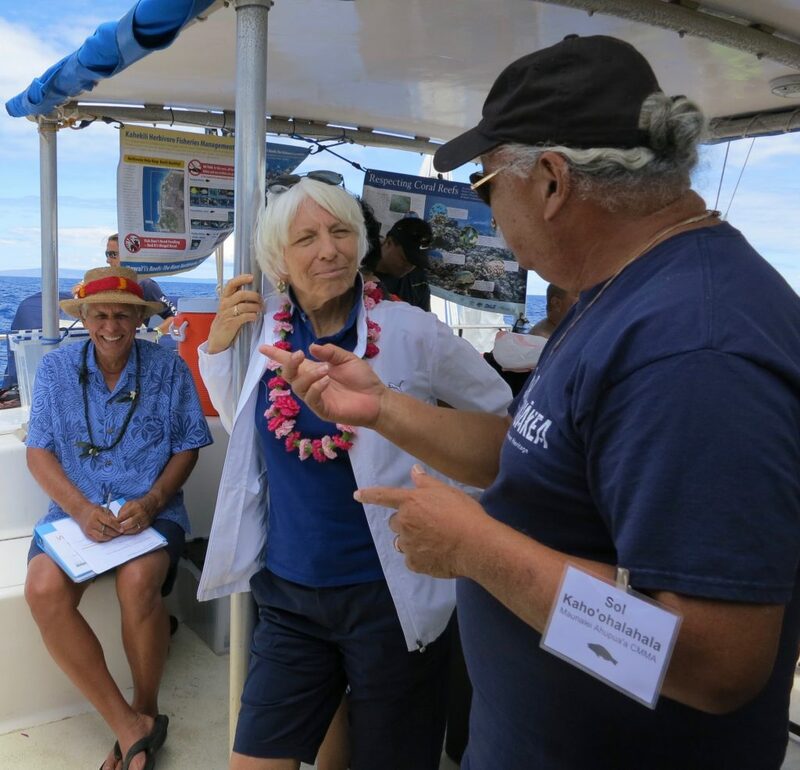 A boatload of decision makers visited waters offshore of Maui on Friday to see firsthand how land-based pollutants and unsustainable fishing practices are killing coral reefs. 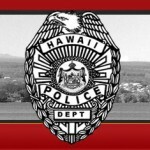 The tour, hosted by Trilogy Excursions included local business leaders, state and county officials, non profit representatives, and cultural practitioners. 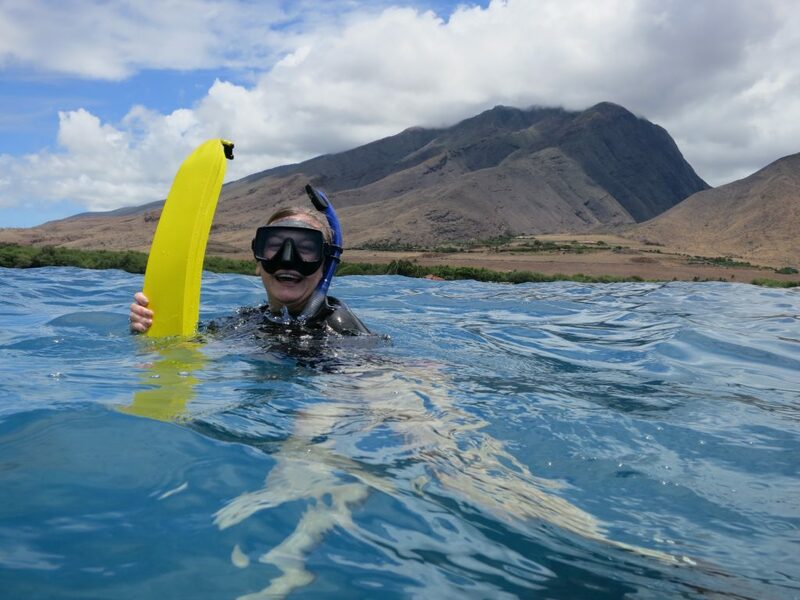 They were brought together by partners within the West Maui Ridge to Reef Initiative, with the goal of providing a unique experiential education platform and the opportunity to experience Maui’s reefs firsthand with experts. 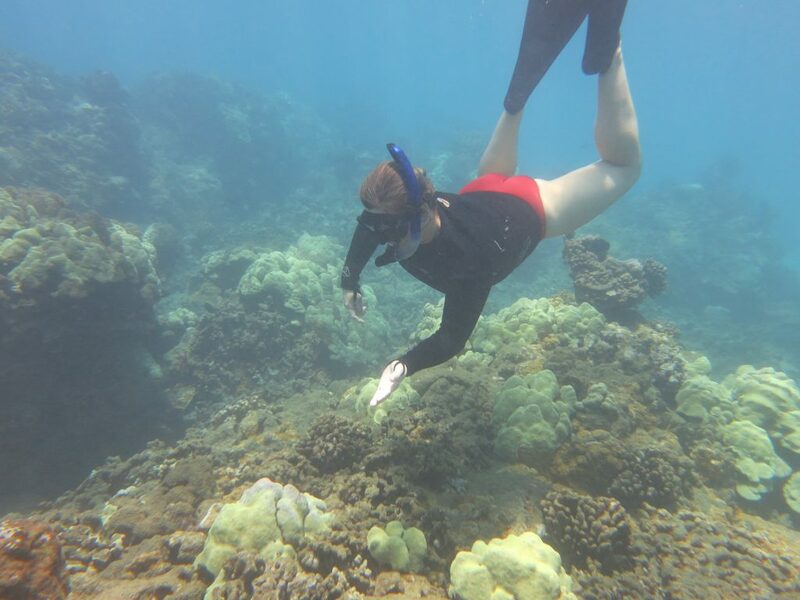 Participants visited the Kahekili and Olowalu reefs, reefs that were chosen because of the differing stories they tell, both cautionary and hopeful. 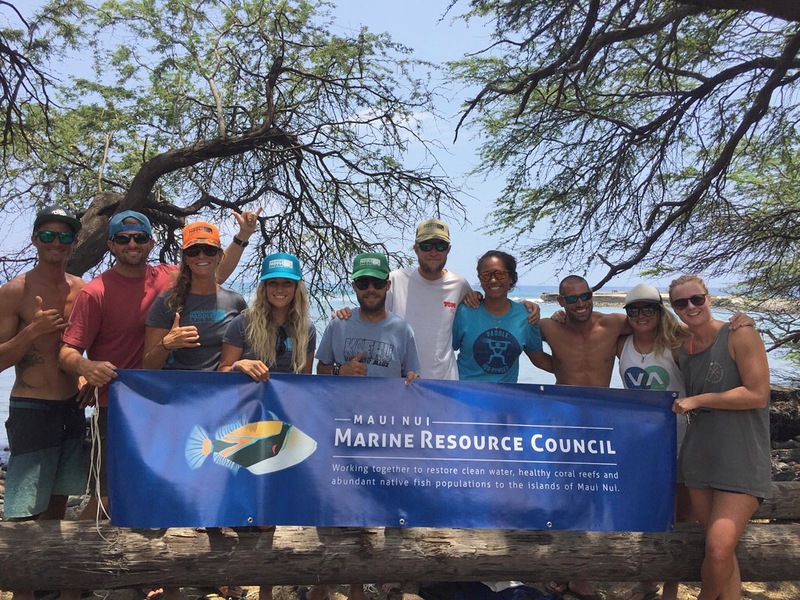 At Kahekili, experts showed how an increase in herbivorous fish populations is helping to improve the habitat. 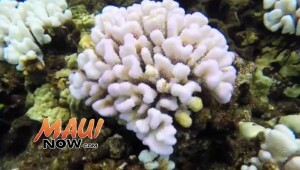 The massive Olowalu reef, which is believed to the mother reef to colonies in West Maui, Molokaʻi and Lānaʻi, has suffered from recent bleaching events. 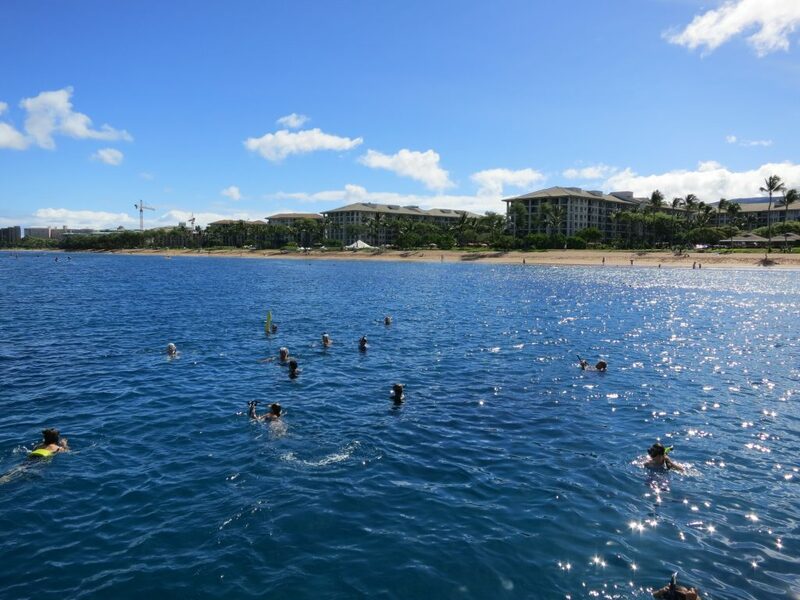 State lawmakers said: we need to buy reefs time to adapt to the environmental changes that are coming, to ensure their longevity for future generations. 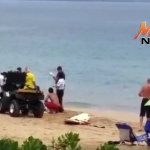 Senate Land, Water, and Agriculture Chair Mike Gabbard and House Water and Land Chair Ryan Yamane said it’s important for lawmakers to take the time to get away from the Capitol, to see first-hand, how land-based pollutants and unsustainable fishing practices are killing coral reefs. 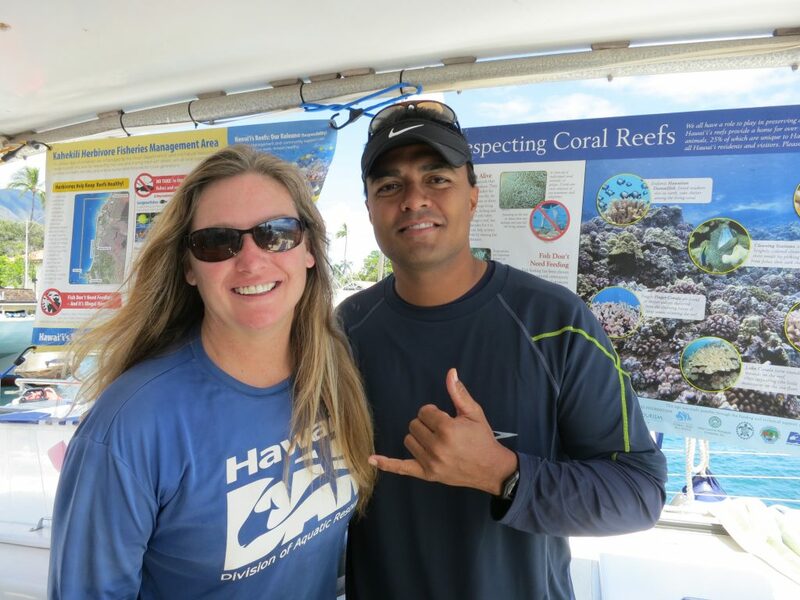 “In the past seven years we have seen a surprising amount of early success reflected in herbivorous fish populations, like parrotfish (uhu), increasing, and the habitat showing signs of resilience,” said White. 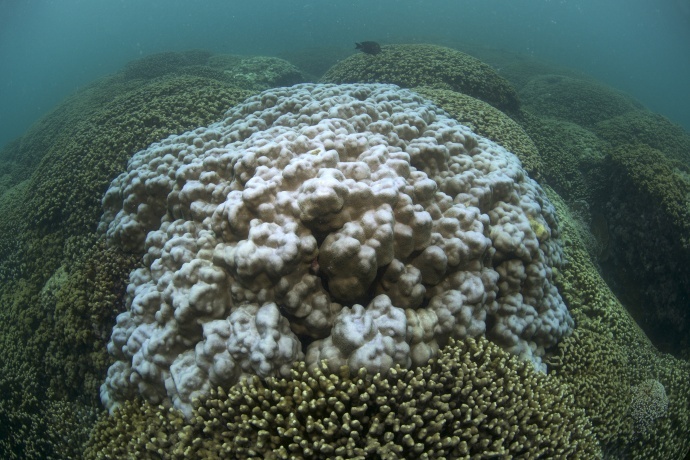 Both reefs have a variety of human stressors, and both have suffered from recent bleaching events to different degrees. 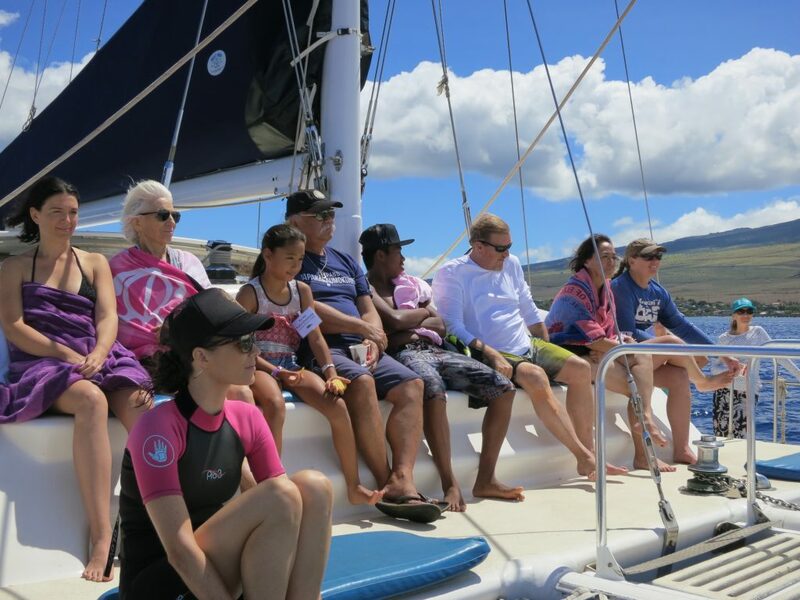 Trilogy Excursions, a certified Sustainable Tour Operator by the Hawaiʻi Ecotourism Association, hosted this charter as one of the many ways it supports local sustainability initiatives.